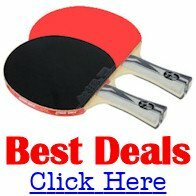 Westchester Table Tennis Center is in Pleasantville, NY, just north of New York City. We are 3-1/2 blocks from the Pleasantville station on the Metro North line -- 47 minutes from New York's Grand Central Terminal. By car, we are 2 minutes from the Saw Mill River Parkway. Over 100 parking spaces. The club is open 7 days a week. Monday-Friday, 3:30-11:00 pm. Saturday, 10:00 am - 11:00 pm. Sunday, Noon-11:00 pm. The club has 18 Double Happiness tables, well spaced out. A high, 21-foot ceiling. Wooden gymnasium floor. Excellent lighting. Lounge. Shower facilities for men and women. Visitors are welcome. The cost is $10/day for adults, $5 for kids under 20. Annual memberships are $350 for adults, $175 for kids. 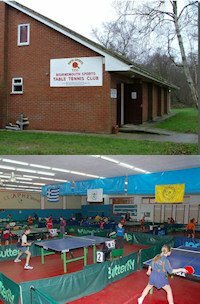 The club has approximately 250 members, with an average of 45-50 players a day. We hold monthly 3- and 4-star USATT-sanctioned tournaments, averaging about 110 players a month. During 2012 we awarded more than $60,000 in cash prizes. 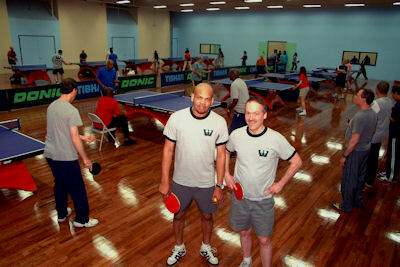 In addition we hold special tournaments for kids, seniors, doubles, and Saturday night "beer ping-pong." in which players must drink two beers in 20 minutes immediately before playing. The club is owned by Will Shortz, the crossword editor of the New York Times, and managed by Robert Roberts, three-time table tennis champion of the Caribbean. The club pros are Robert Roberts and Rawle Alleyne, 15-year coach of the Barbados national table tennis team (1991-2006). The club offers group training for kids after school on Monday and Wednesday afternoons and Saturday mornings (on non-tournament weekends). Private lessons are also available from the club pros. Every Thursday is League Night, in which players compete in a club ladder. The cost is $20/quarter. Address: 175 Tompkins Ave., Pleasantville, NY. Telephone: 914-741-0738.